Listed in our Discount Code Directory: Your business can provide a special discount for products for AG & AG members. Our members are always looking for new shooting gear and accessories, and many of them cannot resist a good deal. Also wholesale pricing on demo products and training aides for chapter facilitators to use during AG & AG events. 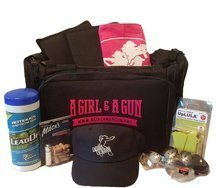 Quarterly Giveaway Sponsor: Every quarter up to 4 lucky AG & AG members (including associate members) win an awesome prize just for being a member! This is just another perk of membership and our way of saying “thank you” for being a member — and a great way for a business to get exposure through our social media and other networking! Product Demos & Reviews: Our Vendor Partner Liaison will personally work with your product and write up a product spotlight to be published in a newsletter and/or annual gear guide. 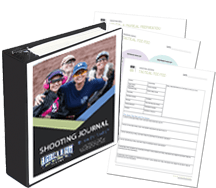 Once they are done working with your product it will be sent to one of Chapters and utilized by our members.